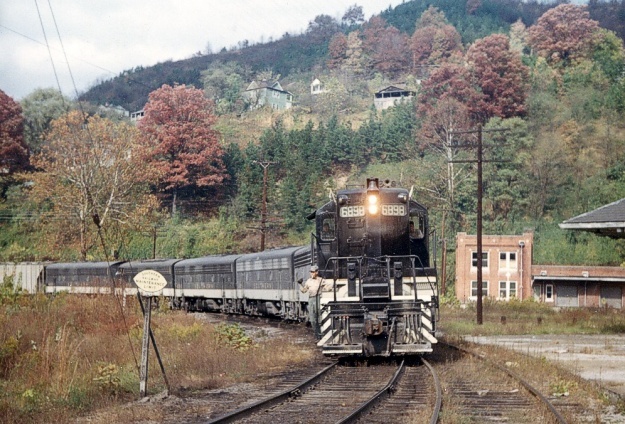 "Bristol Man" passing Appalachia, Virginia with a set of first-generation EMD units. Photo Copyright © 1966 Ron Flanary. All rights reserved.